Established in 1948, S & G Carpets in Torrington have earnt a reputation as professional flooring specialists for North Devon. 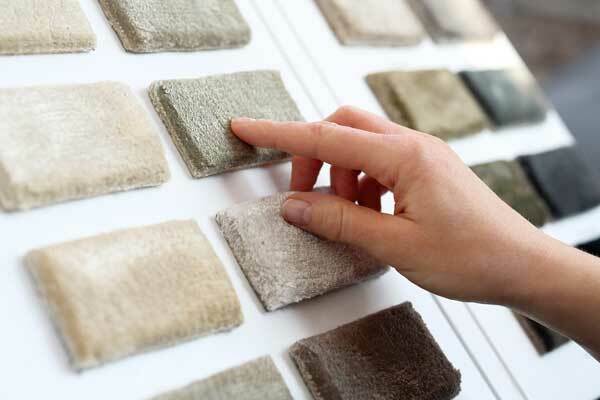 We work with domestic and commercial clients across the South West to design, supply and fit high quality home and contract flooring from UK based manufacturers who are known to produce some of the best carpets and flooring in the world. As an independent family run business, we pride ourselves in offering highly competitive prices alongside friendly an reliable customer service. With S & G, the customer always comes first - we take the time to work with our clients to understand their needs, in order to determine a suitable and affordable flooring solution for their home or business. With an experienced team of highly knowledgeable advisors, flooring designers and fitters, we are able to provide a complete flooring service for both domestic and commercial customers. We will handle all aspects of your flooring project, from an initial free measuring and estimation service, to old carpet disposal and the final fitting of your new floor. In recent years, we have extended our product range to include a wide range of premium quality beds and mattresses from reputable brands Kozeesleep, Myers and Slumerland. We are proud to boast over 65 successful years in business, over which time we have established a strong base of local loyal customers who return to us time and again for their home or commercial flooring needs. Our team of skilled flooring fitters provide a hassle free fitting service to clients across the South West. We’ve got the whole process covered so that you don’t have to worry about a thing – prior to fitting we can help to move furniture and appliances, then once your carpet is fitted, we’ll dispose of your old carpets or flooring and put everything back in its place to leave you to enjoy your beautiful new flooring. S&G Carpets Ltd are delighted to have been chosen as a member of the Carpet Foundation, a national network of 1200 Registered Specialists who are committed to the highest standards of quality and service.